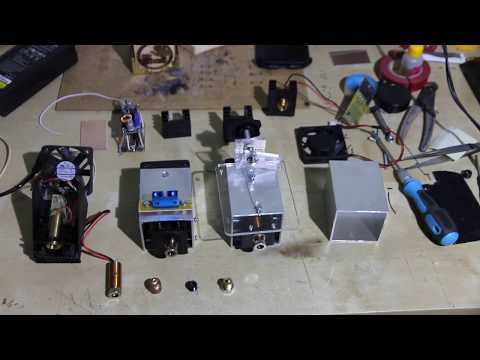 8 watt (8000 mW) solid-state (diode) laser add-on (attachment) for any 3D printer and CNC router. 445 nm wavelength. Engraves on painted and anodized steel, aluminium and copper. Can cut 4 mm (1/6'') of wood and plywood with just one pass. Can cut 8 mm (1/3'') of acrylic with 3 passes. Compatible with many 3D printers and CNC machines. Do you like ultra-powerful lasers? 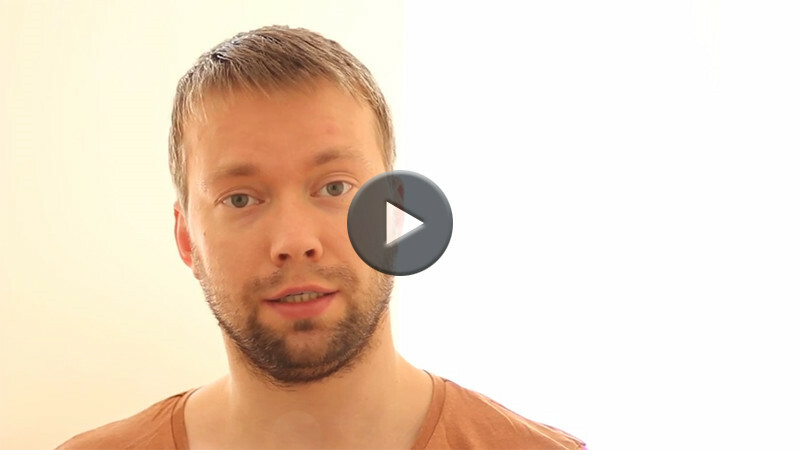 Are you interested in improving your 3D printer / CNC mill? 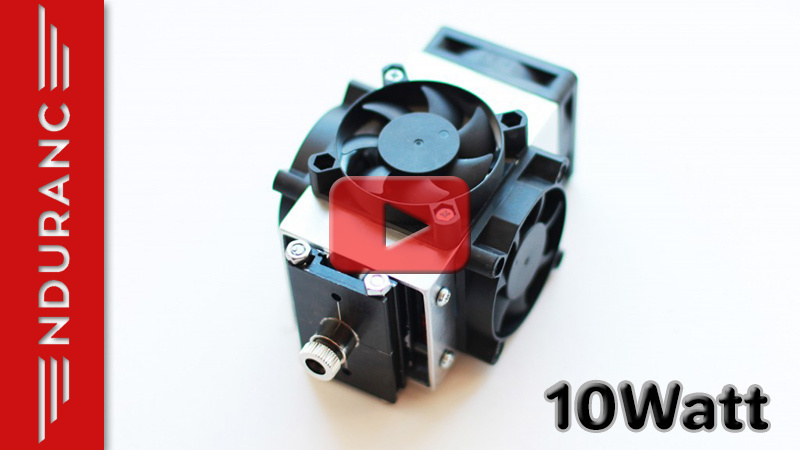 Get and enjoy an ultra-powerful 8 watt laser installed on your 3D printer / CNC. №1 customer support you will experience. Buy the "ultra-powerful" powerful 8 watt (8000mW) laser today! Let's cut and engrave on your 3D printer or CNC machine. 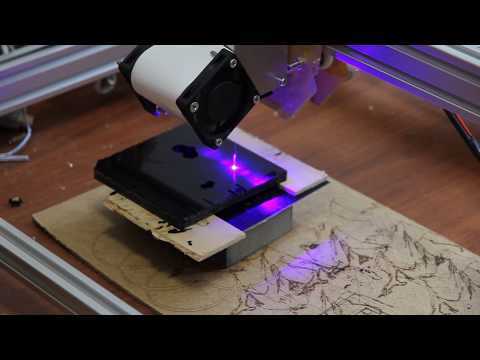 Endurance laser attachment is a useful gadget that turns your 3D printer or CNC machine into a powerful laser cutting/engraving/etching/welding machine, Now you may engrave, cut on your 3D printer or CNC router. Does not require any additional changes or adjustments. The laser is ready to install and go! With a 8 watt Endurance diode laser you can engrave very fast and cut deeper into materials such as plywood, wood, acrylic, cardboard, hardboard, felt, leather, plastic (ABS, PLA), stone, glass, aluminum, ceramics and more. Ultimate abilities of Endurance 8 watt laser will allow you to become a master of wood and a plywood cutter. 8 watt laser can do laser engraving just as quick as you can do it on a CO2 machine. 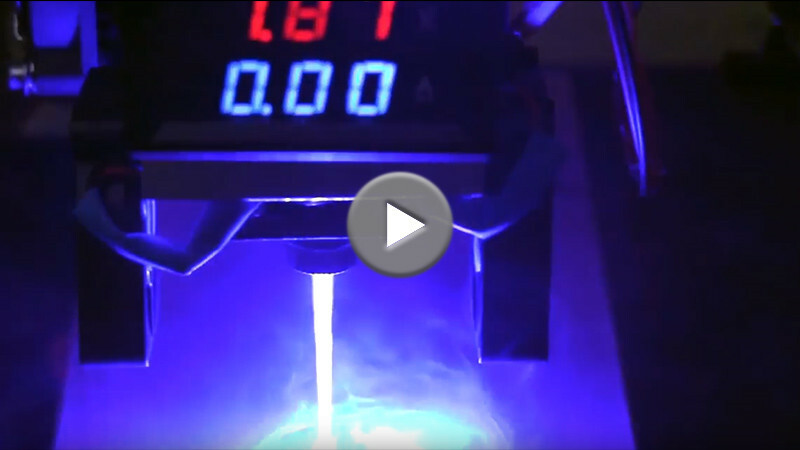 The Endurance 8 watt (8000 mW) diode laser is a very powerful and advanced laser to upgrade (attachment) for your 3D printer or CNC router with and is able to create beautiful engravings and laser cuts. It is very easy to install and does not require any special knowledge. 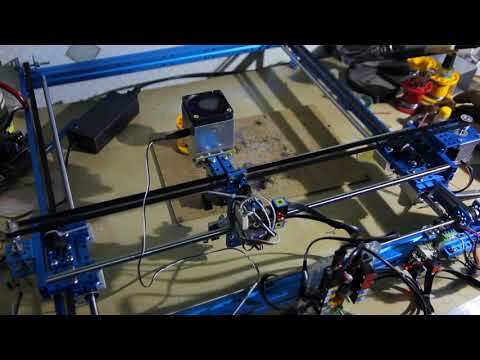 It can be installed on almost any 3D printer or CNC mill. If you have any issues during installation or operation, we are always available to assist you. TTL wire / wires are also added to the laser driver. With TTL (3.5-12V range) you may change laser power (duty ratio). For 8 watt we make our own custom based laser driver. 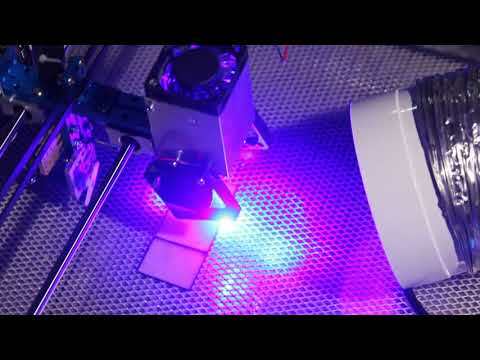 The 8 watt (8000 MW) diode laser is very easy to install on almost any 3D printer and CNC machines using compatible mounts for the Prusa i3, X-carve, Creativity Cr-10, Wanhao Duplicator i3, Ultimaker, RepRap, Magnum, Prism, Makerbot Cube, Picasso, Hercules, SolidDoodle, Original Prusa i3 MK2, BCN3D SIGMA, Form 2, PowerSpec 3D Pro, ORD Bot Hadron, Zortrax M200, Kossel, FlashForge Creator Pro, CEL Robox, FDM and others. If you have a printer not listed, please contact us and we will offer a special mount for you. Our lasers are very easy to operate using standard software and run using g-code on the existing 9-16V of your 3D printer or CNC router. 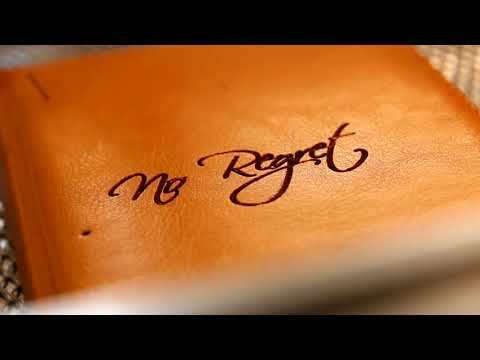 In order to create a laser engraving or a laser cut with our 8 watt laser all you need to do is to put the piece you want to cut or engrave onto the work top. 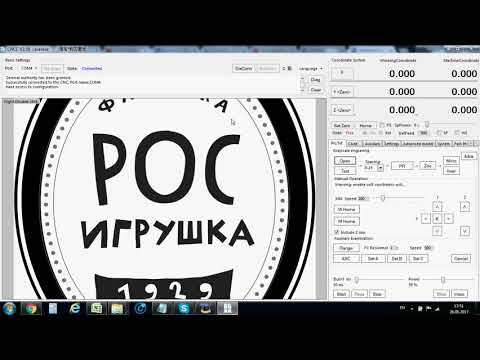 Just convert a jpeg image into a vector image and then convert it into g-code. Start the machine and enjoy watching it do its job. If you have any questions we will be happy to assist you any time. Just contact us via email or on our Facebook page. A 8 watt laser can cut up to 3-8 mm (1/3") of wood and plywood (with multi passes and sometimes require additional air assist). Installation process is very easy but you need to follow some steps to make connection (mount) correct. I’ve bought this laser in addition to my CNC machine, in order to cut wood without having the noise of a rotating spindle, and to have more precision as mill bits are fragile under 1 mm. The 8 Watt laser does exactly what I want and is easy to install next to the existing spindle. Despite a small technical issue where the TTL wire was broken on the PCB, the laser performs very well. Good communication, items as described. Good communication, items as described. Highly recommended. Thank you! I recently built an in house DIY project which was an SLS (laser sintering) 3D printer to fuse gray/black nylon powder, layer by layer to make some strong mechanical products. The 8W laser from Endurance worked out to be an ideal solution for speed and stable power. The high beam power saved us from having to deal with complicated ambient heaters to make the project a success. George provided excellent support to get it to work. Thanks. A quick review for on on my time with the 8W laser. I’ve been using it on an MPCNC with a Rambo control board. So far its has worked really well, I’ve mainly used it for picture engraving. the dot burn size I’ve been achieving in MDF and pine has been <0.1 and images at 256 pixel resolution come out with really surprising quality. My main use for this laser was intended to be for cutting ply up to 5mm and acrylic. I've just finished the air assist for it and intend to start on some of the cutting projects soon. The laser has been very stable on jobs that have been at times a few hours in burn time. George has been very helpful in answering questions that have come up. I'd recommend this laser if you are considering it. If you are looking for a powerful and affordable laser look no more! I did my research for a while and I couldn’t find a better deal. I had my laser for over a year and it works just as advertised. For any newbies the laser works great with EleksMaker boards, DXF’s from inkscape and I use T2 laser for the gcode. The Endurance 8W Laser attachment is a great addition for your CNC engraving machine. It will outperform your expectations due to it’s high quality engineering and manufacturing. George is very knowledgeable and will help you in any way possible with the setup and operation with any of his excellent product line. Your creativity is endless when you add laser engraving to your repertoire. I recently decided to experiment with laser engraving and cut using my 3D printer (a cheaper but valid Anet A8, mounted on P3Steel frame) so the 8W Endurance laser has been my choice. I met since the beginning several problems to understand how to connect and run it to my Anet due to my ignorance on the matter but Endurance (George) has been very kind & patient. TAKE CARE FOLKS, this laser is extremely powerful and according to my measurements, it is nearly 9W. I’ve purchased also the MO1 driver pcb (necessary for my equipment configuration) and the G2 lens. 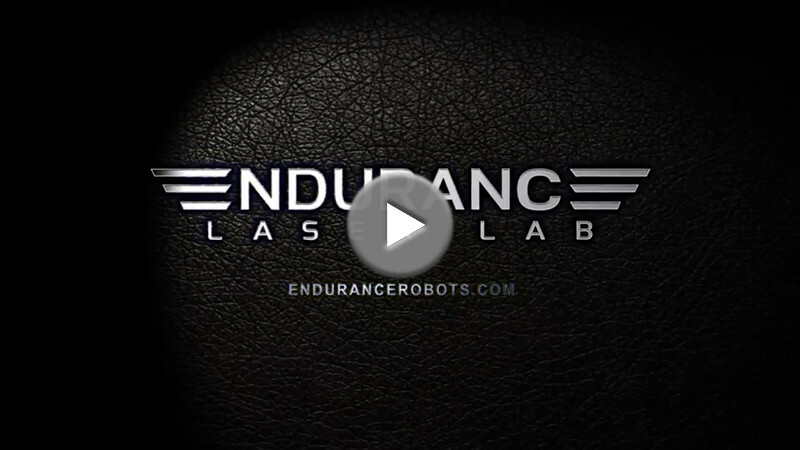 Next steps are to learn about Endurance Laser plugin for InkScape and of course, experiment with engraving and cutting on different materials. I strongly recommend Endurance Lasers! 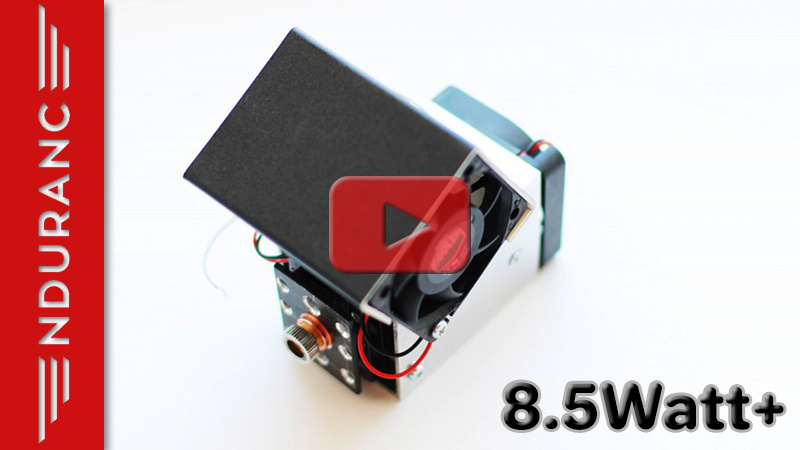 8 watt (8000 mW) solid-state (diode) laser add-on (attachment) for any 3D printer and CNC router is a useful gadget that turns your 3D printer or CNC machine into a powerful laser cutting / engraving / etching / welding machine. The Endurance 8 watt (8000 mW) diode laser is a very powerful and advanced laser to upgrade (attachment) for your 3D printer or CNC router with and is able to create beautiful engravings and laser cuts. 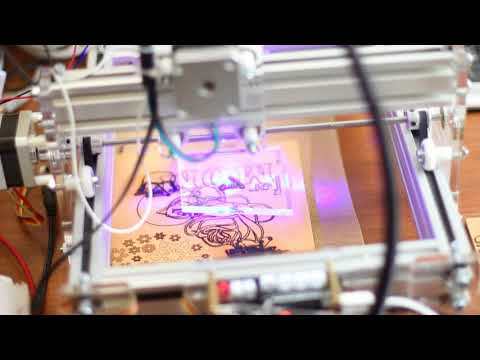 8 watt (8000 mW) laser enable engraving and cutting a variety of materials such as plywood/wood, MDF / balsa, acrylic, plastic-like PLA / ABS, felt /fabric/leather, paper/cardboard, hardboard, stone, glass, painted, anodized aluminum and many other materials. 8 watt laser supports 9 – 16 volts. To operate 24 volts you need an additional step down “buck” converter (available when you place an order). Learn more about useful accessories. The laser is installed a DIY SLS printer. Buy the “ultra-powerful” 8 watt (8000mW) laser today! Have you got a question? Let us know. Laser grayscale lifehack. Engraving on piece of glass using 8W Endurance laser. Our customers make and show! Buy ultra powerful 8 watt (8000 mW) laser right now! Aluminum housing for 8 watt and 8.5 watt+ laser. Key concepts: laser cutting / engraving / etching / welding device.